"Melissa Kostelnik helped us through the maze of finding a lovely home in the neighborhood we desired at the price we could afford. Those are the bare facts. The bigger picture, though, is this: Melissa is a true professional who cares, listens, and solves problems with heart and confidence. She is a gem!!" "I have not met a more determined real estate agent then Melissa Kostelnik. She listens and gives great advice on how to stage your home for a sale. Also helps buyer's visualize the possibilities in a new home. You won't be disappointed!" "Working with Melissa was truely a privilege! She was always easy to get a hold of throughout the entire process and even after the closing. What I appreciated most was that she didn't try to show us places we weren't interested in and her sole focus was to find what made us happy. 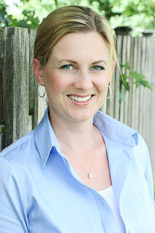 I would highly recommend Melissa to anyone looking to buy or sell a home." "We asked Melissa to provide us with a comparative market analysis on our home. She was very quick and thorough! Can't wait to have you list our home."